Glenn Borchardt has over fifty years of practical and theoretical experience in earth science. He has produced over 480 scientific reports, including consulting reports, journal articles, book chapters, books, and computer programs. Borchardt is the Director of the Progressive Science Institute in Berkeley, California. Turning down a professorship in nuclear science in Brazil, Borchardt accepted a position as a geochemist with what is now the California Geological Survey. Here he spent five years studying the clay mineralogy of landslides by using x-ray diffraction, x-ray fluorescence, atomic absorption, and other methods. A proposal to build a 600'-high dam across numerous earthquake faults along the American River above the state capital brought Borchardt's expertise in soils into the field of seismology. Along with others, Borchardt showed that faults thought to have been 60 million years old actually had small amounts of movement during the last 10,000 years, bringing dam construction to a halt. This work helped to initiate a new field, "soil tectonics", in which the ages of soils are estimated for use in assessing seismic hazard due to ground rupture. Most buildings in California no longer can be constructed across active faults (one showing tectonic displacement at the surface during the last 10,000 years). In addition to dating soils, Borchardt has been part of a team of scientists who produced numerous earthquake planning scenarios. These books contain maps of the damage expected after hypothetical earthquakes along major urban faults in California. As a spokesman for the team, he has presented papers on this approach in the Soviet Union, Russia, and Spain. One especially interesting project involved the evaluation of historic earthquakes that occurred before 1849 when California's population was sparse and newspapers nonexistent. One primary result: the supposed 1836 earthquake along the Hayward fault actually occurred on the San Andreas fault at San Juan Bautista, over 100 km away. This information helped to designate the northern Hayward fault through Berkeley as most likely to produce the next major urban earthquake in the US. In 1990 Borchardt taught soil mineralogy at the University of California in Berkeley as a visiting professor. He retired from the California Geological Survey in 2004, continuing to provide soil age estimates as the principal of Soil Tectonics (http://soiltectonics.com/). 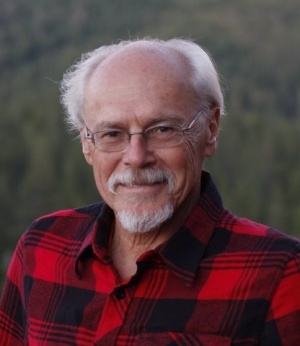 Since 1966, he has authored or co-authored over 320 scientific reports and publications, including several books and computer programs, as well as chapters on soil smectites and soil tectonics in major textbooks. As an avocation, he has studied scientific philosophy since 1976, stimulated by what he thought to be the outrageous claims of cosmologists that the universe exploded out of nothing. His systematic examination of the presuppositions underlying this so-called "Big Bang Theory" showed them to be anything but scientific. In 2017 Borchardt published "Infinite Universe Theory," which summarizes a few of the contradictions of the Big Bang Theory (e.g., elderly galaxies at the "edge of the universe," colliding galaxies, etc. ), going on to reiterate the Ten Assumptions of Science and the principles of neomechanics. The book provides satisfying, non contradictory answers to commonly asked questions from the simple (e.g., "Who created god?" to the complex "What causes the cosmological redshift?"). Borchardt predicts that the switch from the unprovable assumption of finity to the unprovable assumption of infinity will produce the Last Cosmological Revolution. 2007 - "Infinite Universe Theory"
2007 - "The Scientific Worldview and the Demise of Cosmogony"
2004 - "Ten Assumptions of Science and the Demise of Cosmogony"
This page was last modified on 10 April 2019, at 22:02.